Carizon Family and Community Services and Lutherwood are both accredited and experienced not-for-profit children’s mental health organizations. 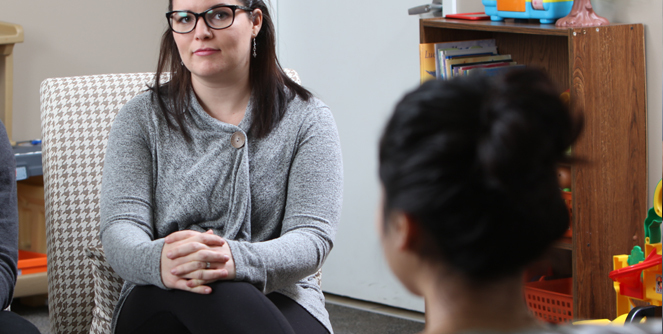 We each operate individual children’s mental health treatment programs as well as some joint programs to better assist children, youth and families living in communities across Waterloo Region. All these programs are accessed through Front Door, either through walk-in or by contacting us..
response to urgent matters (but does not replace community emergency response services). Mobile Crisis operates Monday to Friday from 9:00 AM to 9:00 PM and services are voluntary, so consent from an individual/family is essential. For Life Threatening Emergency Response, always call 911. Our ISRCP is a case management and resource coordination program for an identified child or youth with complex mental health needs who is experiencing significant challenges at home, school, or in the community. Our program is designed to be available on a long-term basis (up to age 18). We accept calls for referrals only when there is availability on the existing caseload and we do not maintain a waitlist. Our Partners program provides intensive home-based support services to families with children and youth from age 7 up to their 18th birthday. A Family Support Worker works with the family as equal partners in their home or in the community for up to three months to help increase our understanding of each unique family, reinforce family strengths, build coping skills and enhance the capacity of parents/caregivers and youth to function both as a family unit and as part of the community. The Family Support Worker works with the parent(s)/caregivers as equal partners to identify desired changes, set goals, develop skills and practice strategies in order to address challenges. Families are involved in tracking progress and evaluating success throughout the program. The Zero2Six program has two components: individual consultation sessions and home-based support. The Zero2Six program offers individual consultation sessions to parents/caregivers of infants, toddlers and preschoolers (birth to six years of age). 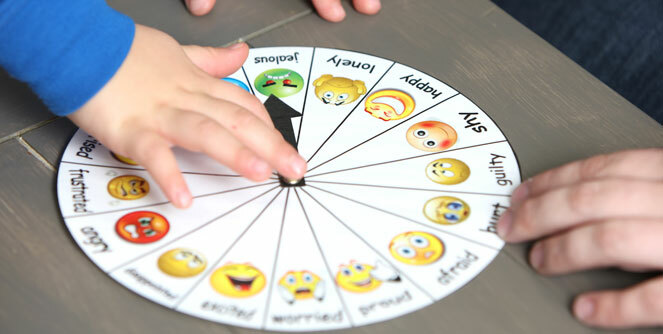 The one-hour session focuses on social and emotional development, behaviour challenges, and parenting strategies. This service is offered in partnership with the EarlyON. Contact your local centre to make an appointment. The Zero2Six Program provides intensive home-based support services to families with children from birth to age six. A Family Support Worker works with the family in their home or in the community for up to three months to help increase our understanding of each unique family, reinforce family strengths and build coping skills. The Family Support Worker works with your family as equal partners to identify desired changes, set goals, develop skills and practice strategies in order to address challenges. Families are involved in tracking progress and evaluating success throughout the program. Areas of focus can include parenting, child development, emotion regulation, social skills, behaviour management, and family communication and relationships. Family Support Workers can also help families access other relevant, local resources and services. These links will take you to the mental health programs accessed through Front Door. Please visit us at walk-in or contact us for more information. 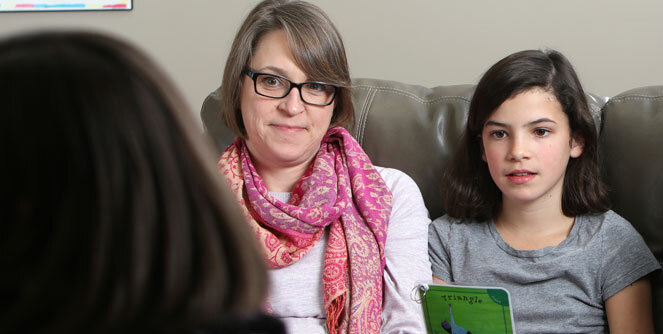 While many of the Children’s Mental Health services in Waterloo Region are accessed through Front Door, other community partners in this area also provide excellent programming and are available through their own intake processes. To learn more visit our resources page for links to other agencies.